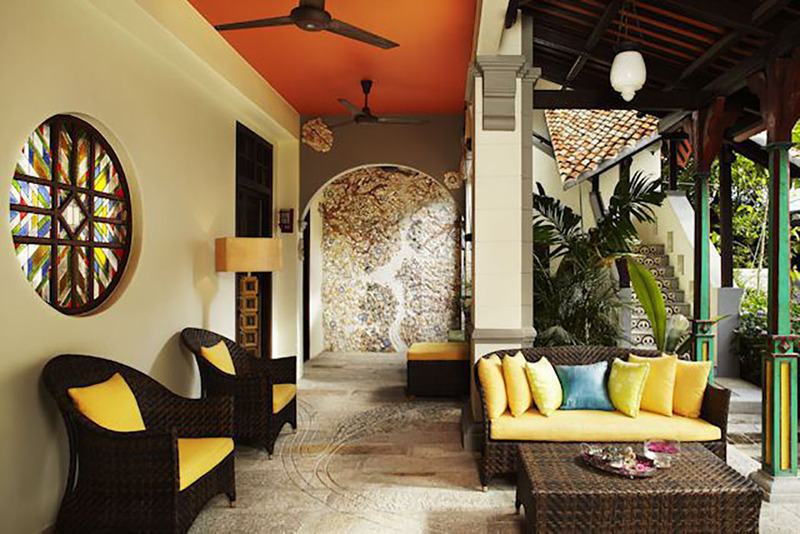 Hotel Penaga is a charming boutique hotel in the heart of George Town, Penang, Malaysia. 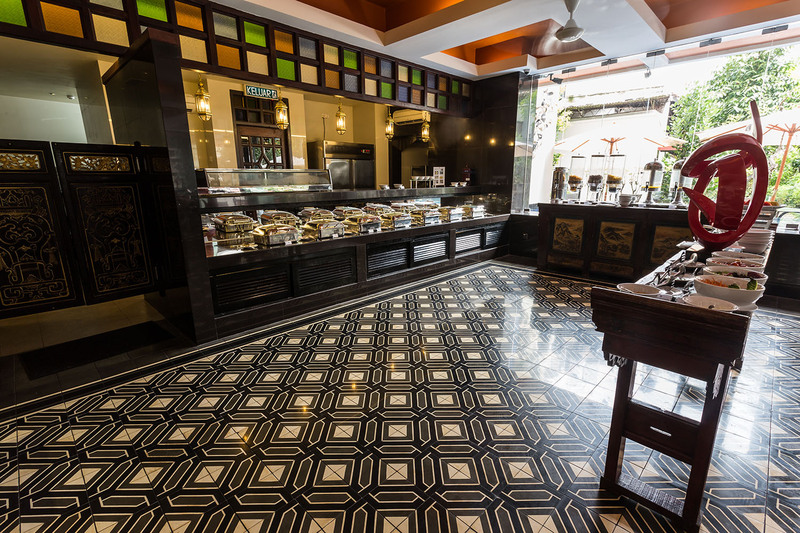 The hotel is in an excellent location providing great access to all the sights of Penang, often described as the food capital of Malaysia. Originally created from pre-war terraces and shop houses, Hotel Penaga mixes authentic, original features with a taste of modern Japan. 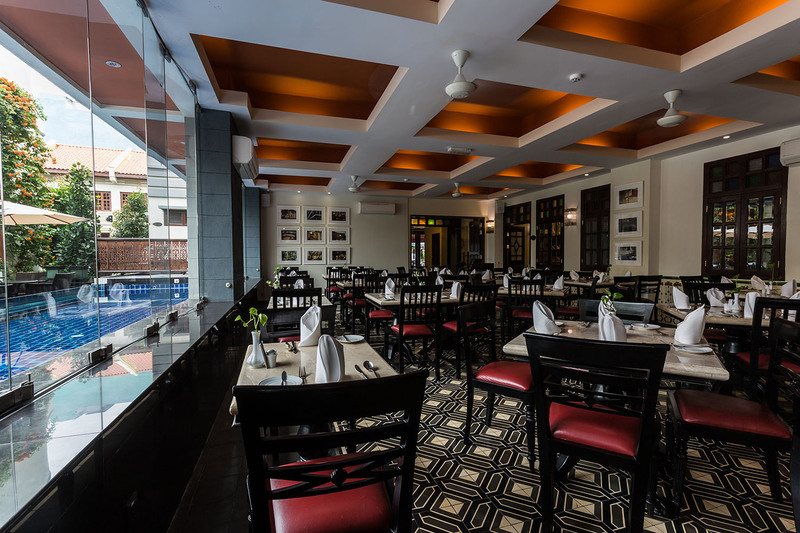 As well as the rich history you will also find all the usual amenities you would expect from a boutique hotel to ensure you have a thoroughly unique, comfortable and memorable stay. 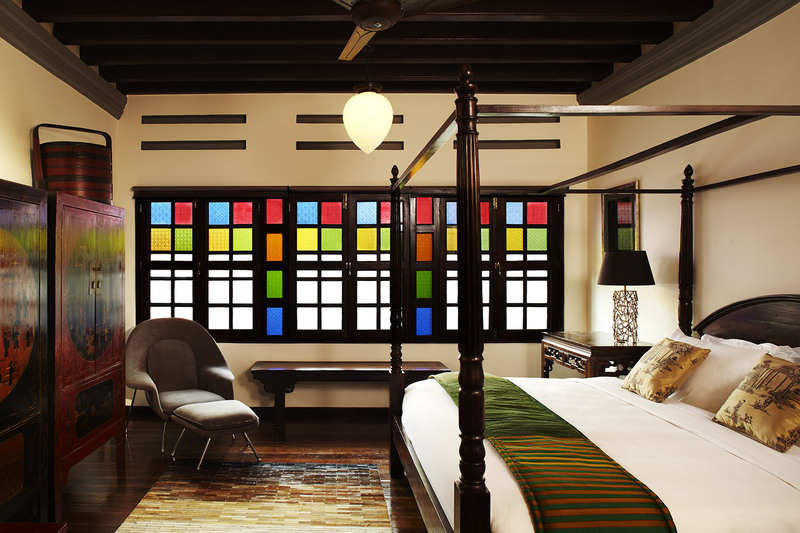 As soon as you step foot into Hotel Penaga you will discover it’s uniquely charming décor with exquisite Peranakan tiles, striking stained glass windows and beautiful paintings throughout. The hotel actually supports new artists by offering them a room in the hotel free of charge and as a guest you can socialise with the resident artist and watch them work. 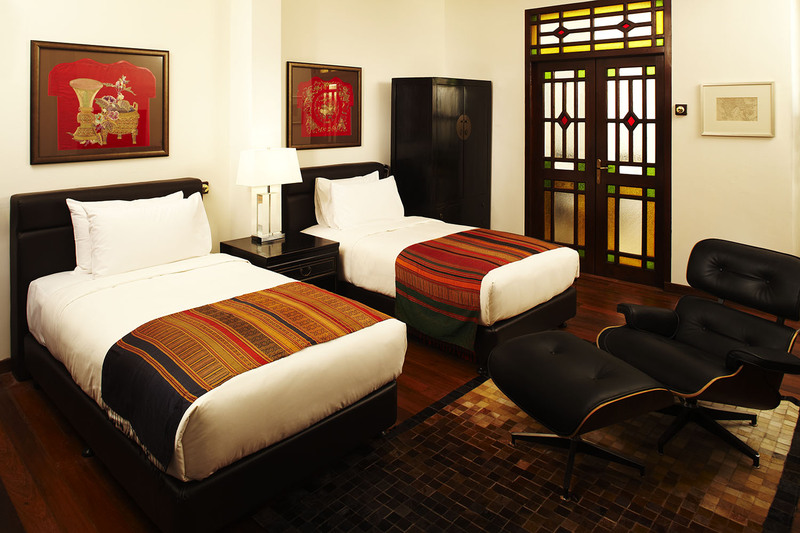 The rooms and suites within the hotel are divided into ‘Clark Terraces’, ‘Transfer Suites’ and ‘Hutton Rooms’, each of which has been lovingly and individually decorated with replica antique Asian furniture mixed in with modern Japanese design which really adds to the quirky ambience of Hotel Penaga. If you would like to avoid the hustle and bustle of Penang at night then ask for a room facing the rear of the property. As well as classic character your room features a ceiling fan or air-conditioning, wifi, kettle, microwave, sink, fridge and a Coffee Bean & Tea Leaves coffee maker with four complimentary coffee capsules. 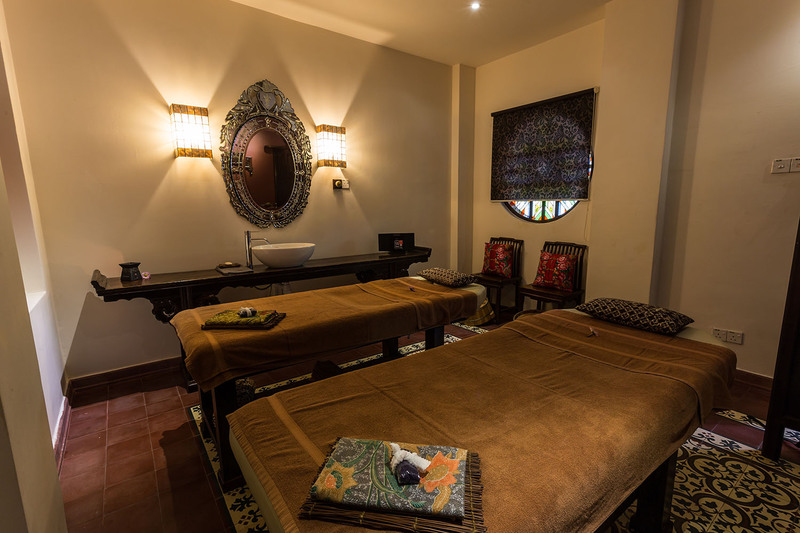 Your bathroom includes a Jacuzzi spa bath, separate shower and beautiful locally made toiletries crafted with ingredients from the region. If you are looking to while away the hours you can enjoy a quiet drink in the beautiful Tanglung Bar or dine in the striking Cinnamon Restaurant. 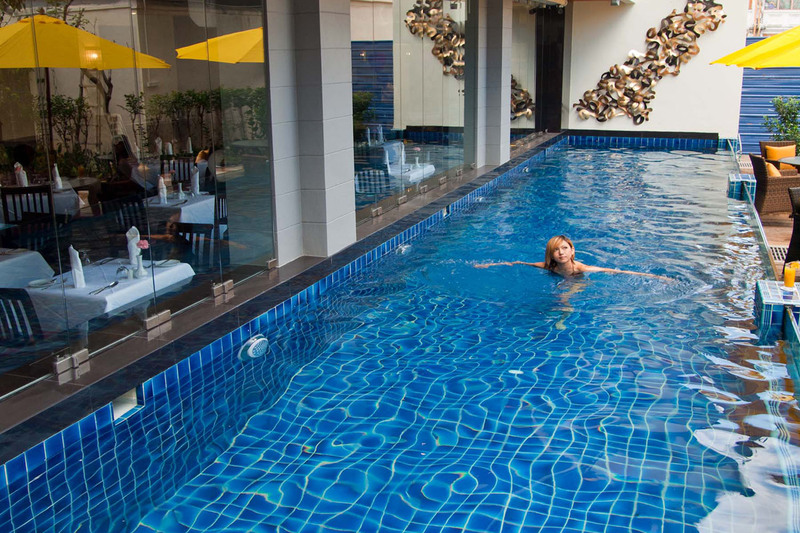 The Hotel also features a narrow pool (which is rather overlooked by the restaurant), a feature garden, library, Business Centre and the Penaga Spa, inspired by the healing qualities of the indigenous plants of the Malay Peninsula. The owners of the hotel (a Japanese architect and his wife who bought these traditional properties and converted them into the hotel) have been keen to ensure every aspect of it is sustainable. This concept has been taken throughout from the original reconstruction using recycled materials where possible to the collection of water and heating of the hotel from solar panels. This care for the environment has gained the property a Gold rating from the Green Building Index. Penang itself offers a range of activities to the visitor including relaxing on beach, sampling the cosmopolitan cuisine available, exploring the UNESCO World Heritage Site and the world famous Penang Butterfly Farm which are all in easy walking distance of Hotel Penaga. 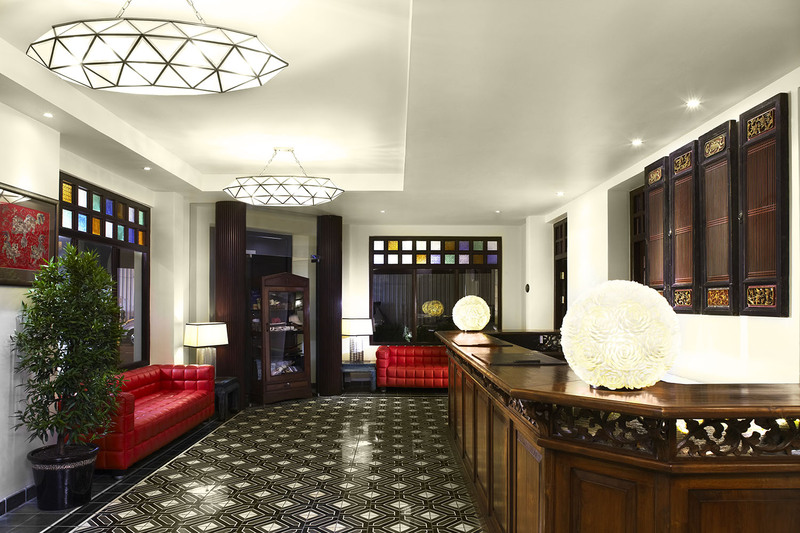 The staff at the hotel are incredibly friendly and helpful, offering outstanding service with a smile. 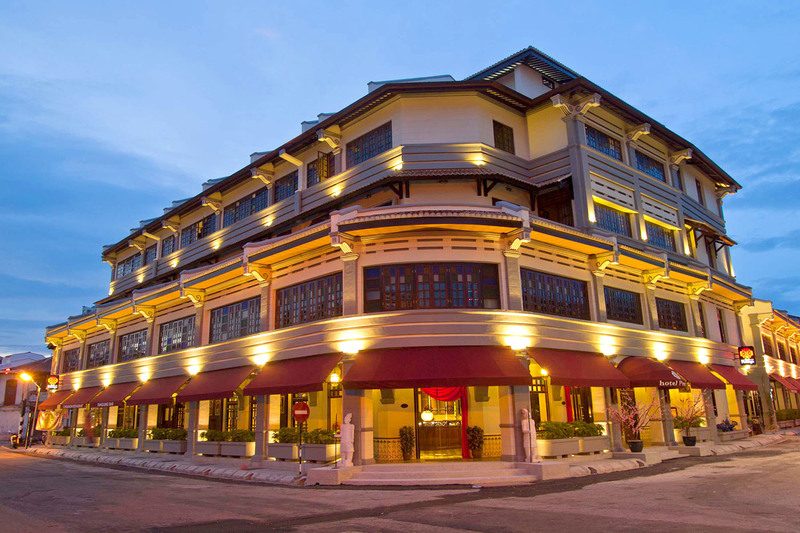 So if it’s a one-of-a-kind Malaysian escape you’re looking for with old world classical charm set in a great location then Hotel Penaga, George Town is the answer.